It’s been a big update to our ‘What CMP’ comparison, a complete review of the evaluation criteria, tied to a re-evaluation of all listed vendors and products through our community consultants. It was a recognition of the quickly evolving CMP landscape and the sheer breadth of use cases that Cloud Management Platforms are expected to cover. 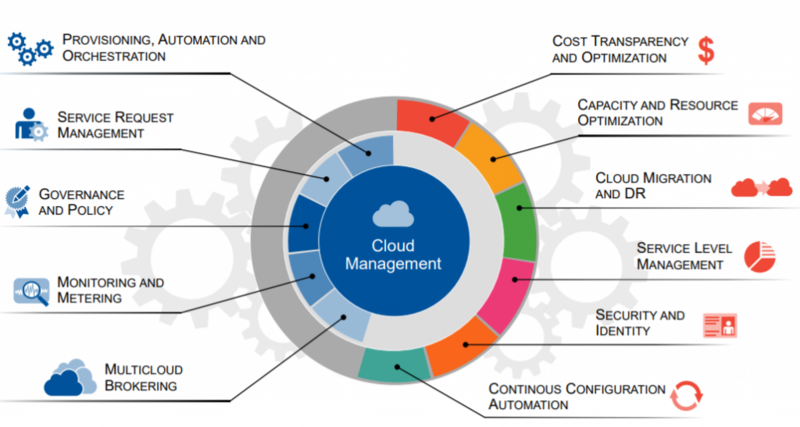 Regardless whether you look at it from the aspect of multi-cloud management & automation, DevOps enablement & self-service, cost transparency, centralised configuration and policy control or workload migration & DR requirements … any combination might apply to a specific deployment and management scenario. So who comes out on top after re-evaluations, community reviews and challenges …? We are glad to announce CloudBolt Software as winner of our overall ‘What Cloud Management’ evaluation update 2017. 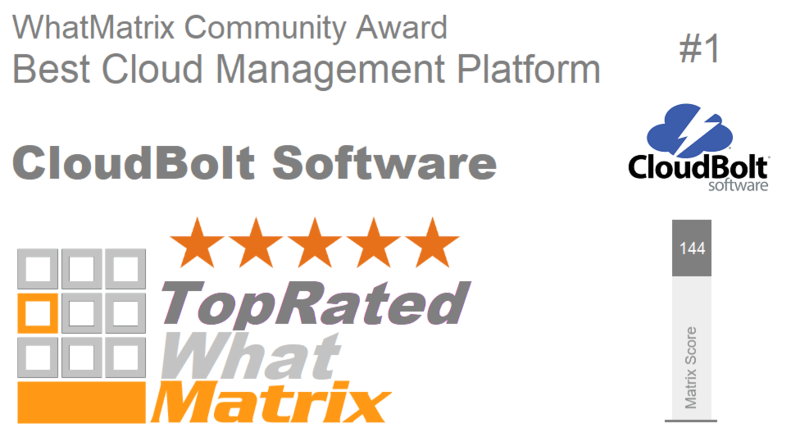 Despite a tight score and an interesting mix of larger and smaller CMP vendors in the top 5, CloudBolt Software managed to achieve the highest score in our community evaluation – check out the detailed evaluation (with no less than 100 technical checkpoints) here! CoudBolt convinced with its support for a wide range of cloud technologies (from on-premise virtualisation and private cloud to a good range of hybrid and public cloud technologies) and CloudBolt’s focus on enabling the best execution venue in order to optimize workload placements. Make sure to review the “Multi-Cloud” section in comparison to the other listed vendors. CloudBolt recognized the challenge shadow IT introduced in many organizations driven by the “ease of acquisition” of public cloud resources. CloudBolt counters this with a self-service interface that allows users to (easily) manage and provision resources on demand based on their job roles even in intricate environments – ultimately eliminating the need to utilise shadow IT. The software has proven to be simple to deploy, without the need to rip and replace environments in brownfield scenarios through its ability to import, sync, and manage legacy deployments. Another key strengths is Cloudbolt’s extensibility, that is its ability to integrate with various peripheral systems, whether legacy or emerging. For that CloudBolt uses a plug-in architecture that allows users to create relevant plug-ins in the form of Python scripts, remote shell scripts, web hooks, and email notifications. 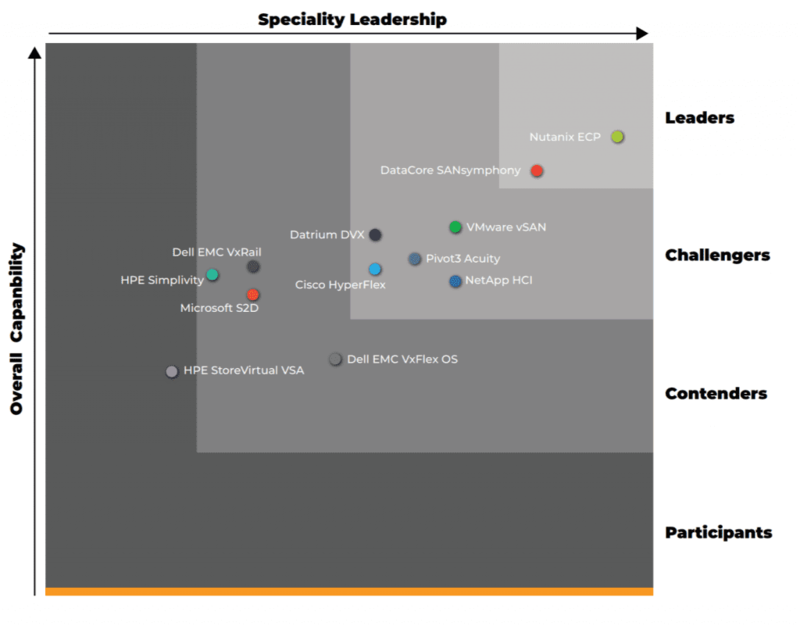 Just have a look at the range of supported Dev-Ops technologies in our comparison. Another interesting example is the ability to perform “cloud bursting” (introduced with version 6- clearly a challenge if expected to be supported for a wide range of applications across a wide range of infrastructure technologies). To make this feasible CloudBolt supports a large number of resource handlers (AWS, Azure, OpenStack, GCE, RHEV, IBM Cloud, Oracle Compute Cloud etc), various load balancers, configuration manger, IPAMs, CMDBs and orchestration frameworks. Whith this open plugin approach CloudBolt allows for flexible extension of the management system into existing and future technologies and this flexibility provides CloudBolt currently the edge over its rivals. Visit the CMP comparison to explore and compare CloudBolt and other CMP solutions maintained by our community. PS Also thanks to Marco Meinardi (Gartner Inc.) for the great pic visualising functional and operational management aspects!